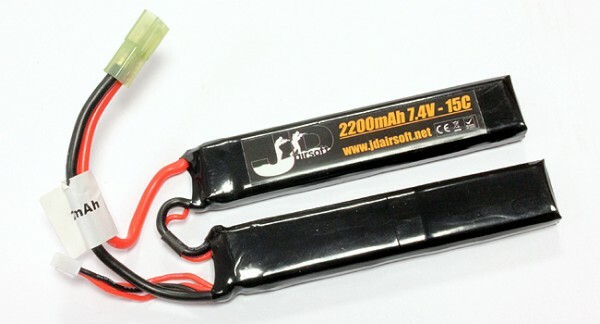 A 7.4v 2200mAh 15C split battery designed for the smaller crane stocks. This battery is good for around 5000 rounds (dependent on fps). 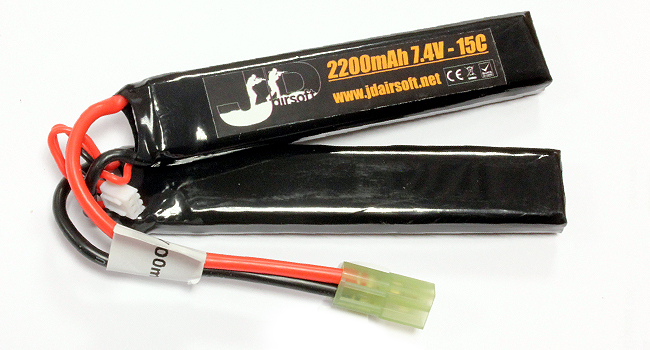 Size: 105mm Length x 20mm Width x 10mm height (each cell).